Sometime last year, I made these delicious Date & Walnut Snowballs for a dinner with our close friends, our favourite Italian-American Couple, as we like to refer to them. I had made some Thumbprint Cookies the day before, but I wanted to make an additional extra sweet after dinner treat for our guests. The only issue is that I didn’t have a lot of time to spend baking and preparing. A quick rummage through my pantry left me with 5 ingredients in hand that were perfect for a sugar-free, vegan, raw concoction: dates, walnuts, and unsweetened shredded coconut. That my friends is how Date & Walnut Snowballs were born. Perfect for a guilt free, delectable sweet treat. In our discussion, Flirty Foodie said “you should make your date balls for your blog”, and my response “what a great idea”. 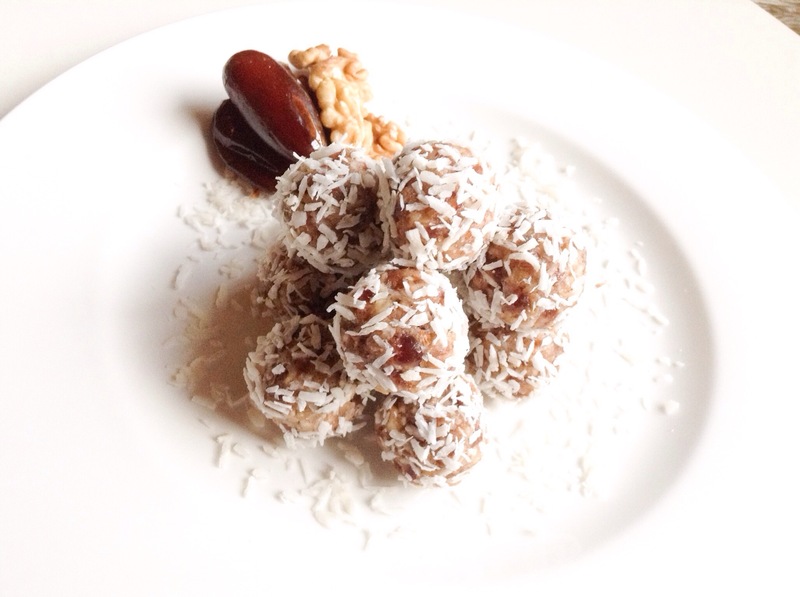 So without further ado, I present you Date & Walnut Snowballs: refined sugar- free, vegan and deliciously sweet, but best of all they contain 5 ingredients and are quick and easy to make. Whiz all the ingredients together in a food processor until well combined and you have a homogenous mixture resembling a paste. 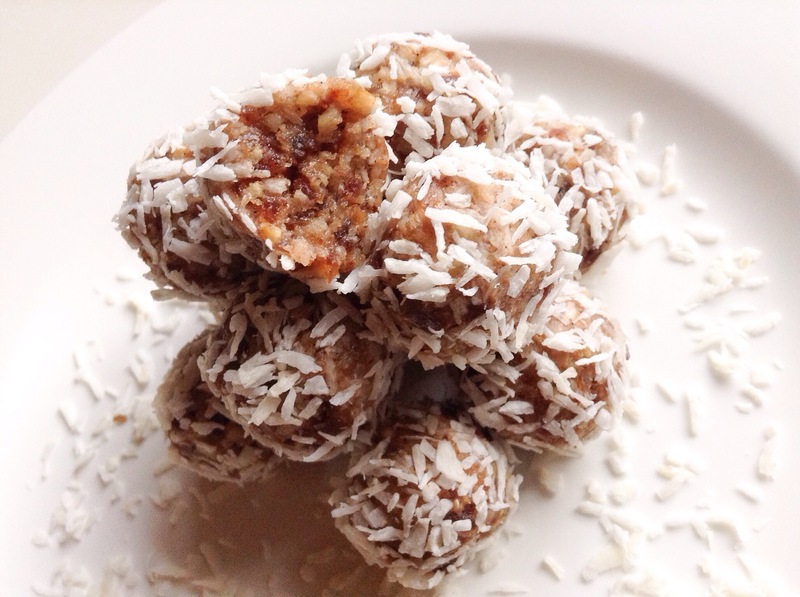 With your hands or a mellon baller, form small bite size snowballs and roll in the shredded coconut to coat. Be careful not to eat them all in the process (I ate two :-), but in my defense one was for the benefit of the photo above, and then I quickly packed the rest in a container and hid them in the refrigerator so I can share them with others tomorrow). Enjoy and share with others! My good friend started a wonderful new food blog. I invite you to check it out and be inspired to prepare some very healthy recipes. There are some delicious vegan recipes on there also. No go forth. Explore and eat well.